The elderly can exercise and live an active lifestyle to improve fitness levels and wellbeing, just as with any other age group. The elderly may have illnesses and health conditions which require a different approach to the exercise performed, and it is vital for those with conditions to visit their GP to discussion suitable exercise. 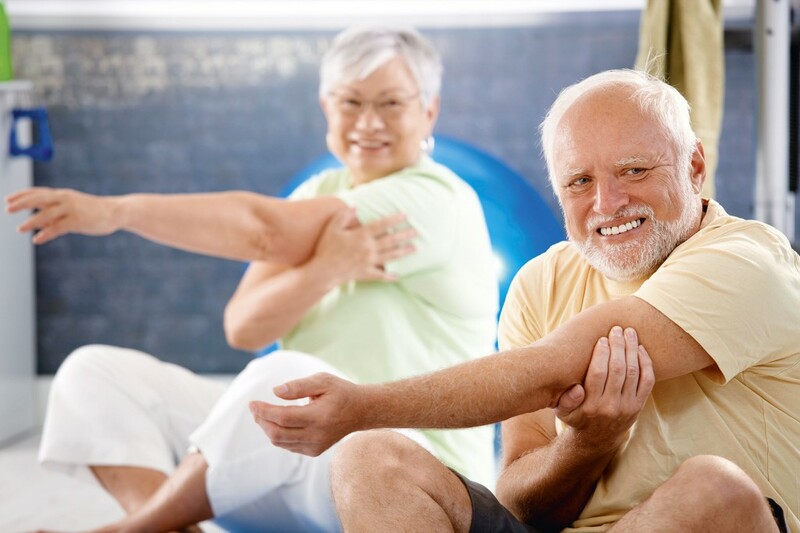 With the advice and guidance of a health professional it is possible for the elderly to exercise and live a healthy lifestyle, which often prevents common diseases and health conditions related to living a sedentary lifestyle. It is important to stay hydrated throughout exercise due to fluid loss, with this being especially more pronounced in hotter conditions. Thirst should not be thought of as a primary indicator to hydration levels, and it is important to take onboard a suitable level of fluids throughout the day, and especially during exercise when the body looses body fluid through sweating. The clothes worn should be comfortable and prevent overheating, with suitable footwear worn for exercise. Exercise for the elderly should begin with a warm up to prepare the body for the main exercise which is to be performed. The warm up should last for five to ten minutes, and include light exercise to warm up the muscles and get the cardiovascular system elevated. Some light stretches can be performed after the warm up, once the muscles are warmed up and prepared for exercise. The main exercise will be determined by current fitness levels, and health conditions. If cleared by a health professional, exercise should be composed by resistance exercise to build muscle strength and endurance, as well as aerobic exercise to improve cardiovascular ability. 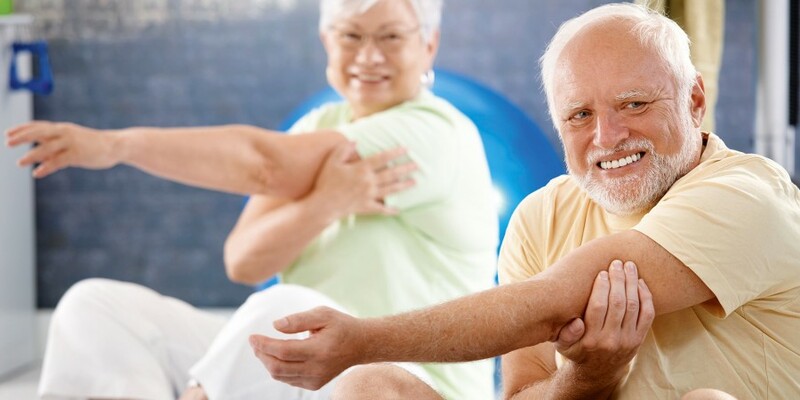 Exercise can also incorporate activities which require eye-hand coordination, and improve balance, which are especially useful for the elderly. Racquet sports and throwing activities can be useful for stimulating eye-hand coordination, with balance improved with the implementation of exercises, such as; standing calf raises, chair squats, and standing leg abduction. Swimming and water aerobics are great choices for the elderly, both safe choices due to the low impact on joints. Swimming can be the perfect choice for improving muscle strength, endurance, cardiovascular ability, and maintaining joint motion. Walking is also a suitable activity, relatively gentle on the joints whilst elevating the pulse. It would also be useful to check out the classes at the local gym, with yoga, pilates, and calisthenics very useful for all age groups. The advice from your GP should be followed to ensure safety and optimal health. The advice in this article is meant as a general guide, and it is vital you seek the advice from your health professional before embarking on an exercise regime. Becoming highly sore after training indicates muscle stress, and if the soreness persists, or is uncomfortable, you should seek a medical professional. It is important to perform exercise at an intensity which is stimulating, but does not cause excess stress to the body. Seek advice from your GP on dietary needs for optimal health, and fluid intake to maintain hydration during exercise. If you feel dizzy, lightheaded, feel pains, feel sick, or have trouble breathing during exercise, it is important you immediately seek health attention.